Right I'm with ya now, thought you had changed the box over! So if your now running 18/47 (5.2) I would say your about where you want to be, you have come down from 6.1 final drive! A 175cc top end with a Clubman style pipe set up is around 5.2 so you should be sorted mate. 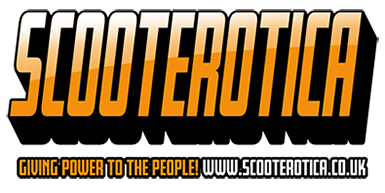 Neil @ Brolam Scooters (Doncaster) Done two Lambrettas for me, top bloke! After some advice on long range petrol tanks, Im after buying one (TS1 Fitted) but dont know which is best and where to buy from, Joespeed's look the biz so that is in pole position, I have seen some on Ebay which are cheap but not sure if theyre any good! Why not mount a master cylinder behind the horncasing? I did on my series 2, and I think it looks far neater and you don't need to butcher the headset top! Just a thought.